Our Rosebud Tree Removal service removed this tree that was overhanging and fence and caravan. We use modern equipment to look after your property as if it were our own. 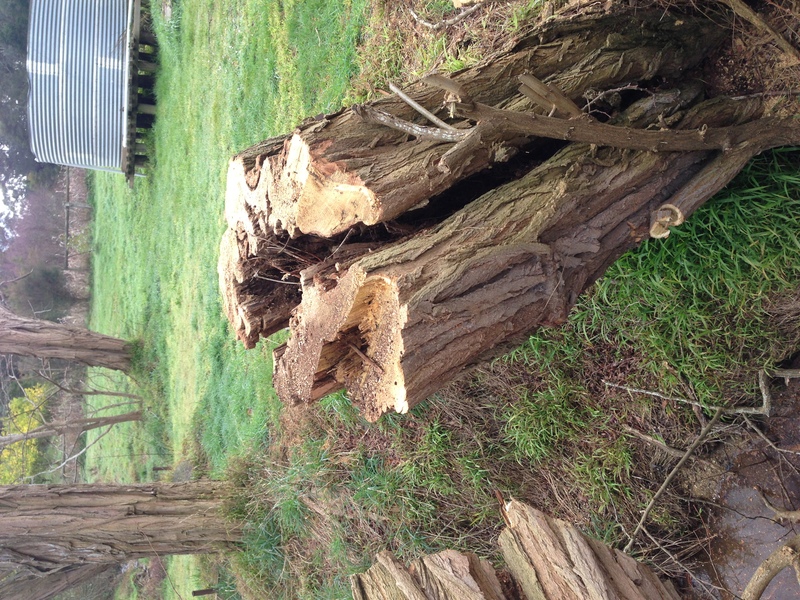 A row of cypress Rosebud Tree Removal Service cut down and chipped this week.Do you have fence lines that need clearing, or trees that have gone past their useful life expectancy? Let Tree-rrific Tree Services give you a obligation free quote, and friendly advice to help make the right Rosebud Tree Removal decision. 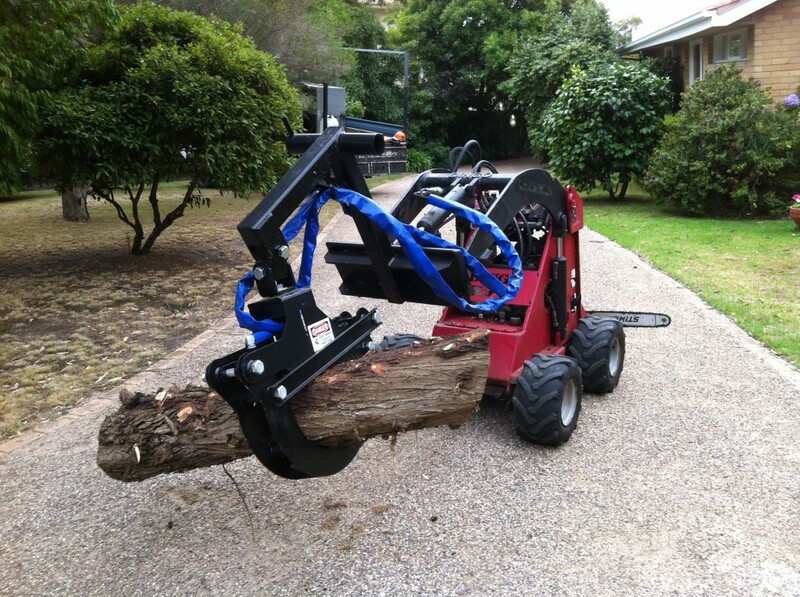 Tree-rrific Tree Service of Mt Eliza has been servicing Morningtons tree removal needs for many years. Part of our service is understanding the planning direction of Mornington Peninsula Shire, and how they expect home owners to care for their trees. 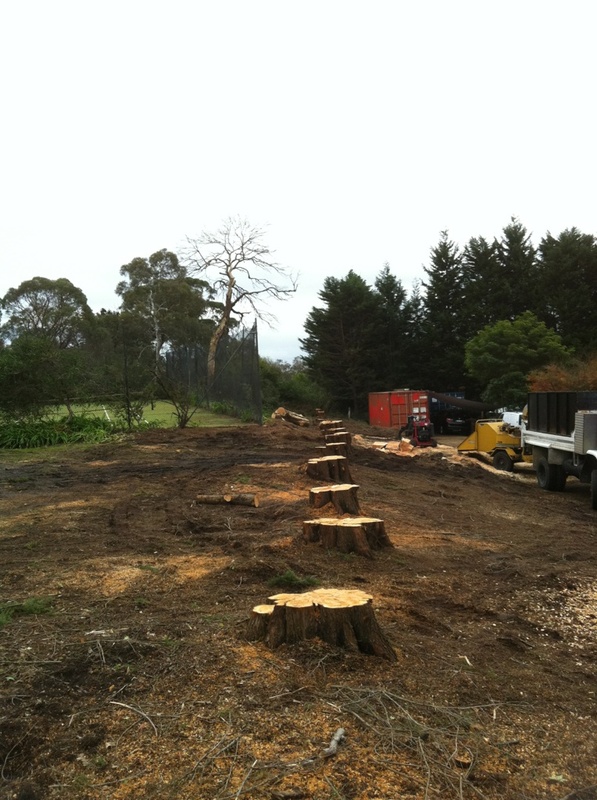 A summary of Mornington Peninsula Shires tree removal strategy can be found on the Street Trees & Vegetation Management page. Did you know that trees and vegetation encroaching from private property into council roads, paths and right-of-ways is the responsibility of the private owner? Did you know that it is illegal for a private resident to remove or prune vegetation on council land? Tree Removal in Mornington should only be done by someone that understands and abides by planning permits and laws set out in the shire. Tree-rrific tree service of Mount Eliza understands the law, and your needs to deliver satisfactory outcomes for both parties. Do you have dangerous trees on your property? 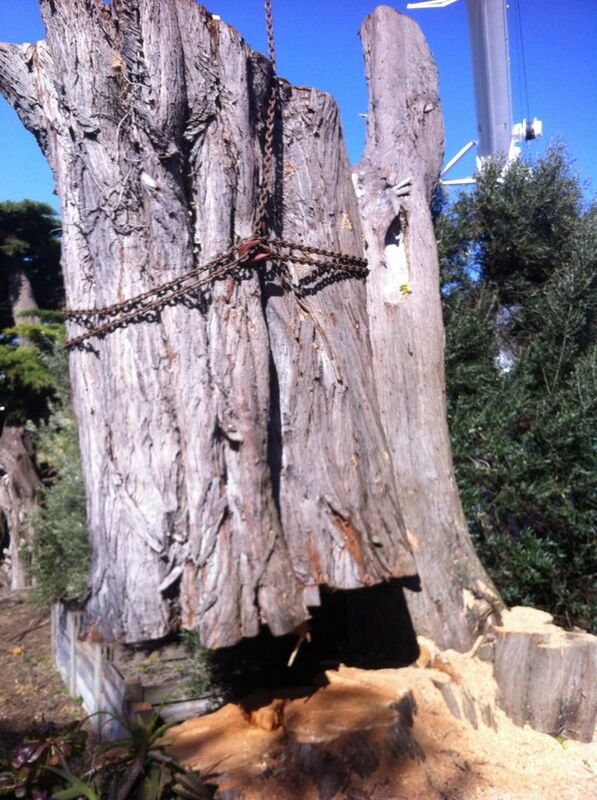 Check out this nasty stump of a dangerous tree we removed in Mornington. It was split up through the middle of the tree, dead, and leaning over some sheds. Not all tree loppers are equal – Our Mornington Tree Removal Service uses modern and safe climbing techniques to safely remove your tree. 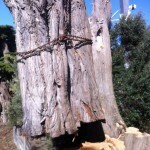 Call Mornington Tree Service for tree assessments and tree removals. Let Rosebud Tree Service take care of your tree problems. Tree-rrific Tree Service has fully qualified Arborists and Tree Care Professionals. 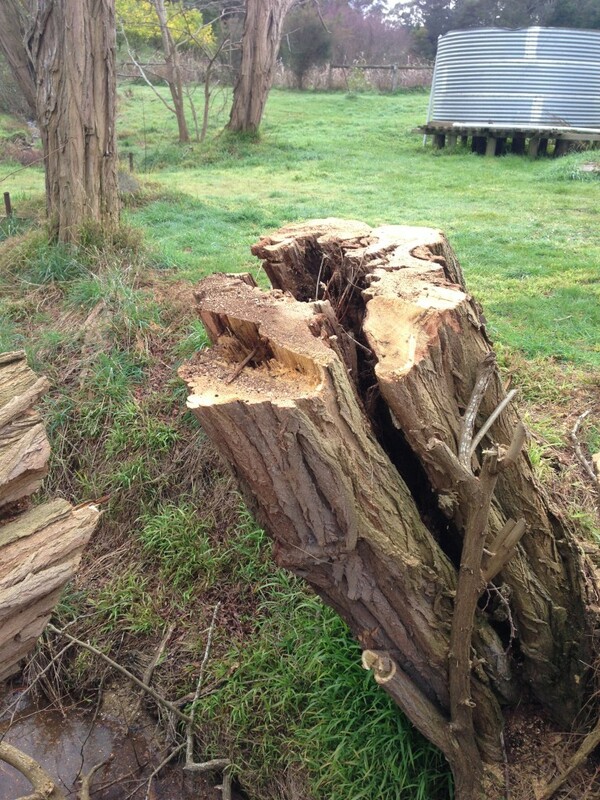 We can remove your trees and have them chipped or cut into firewood. 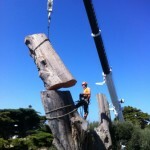 Tree-rrific Tree Service services Rosebud, Sorrento, Mt Eliza, Red Hill, Frankston and Safety Beach. 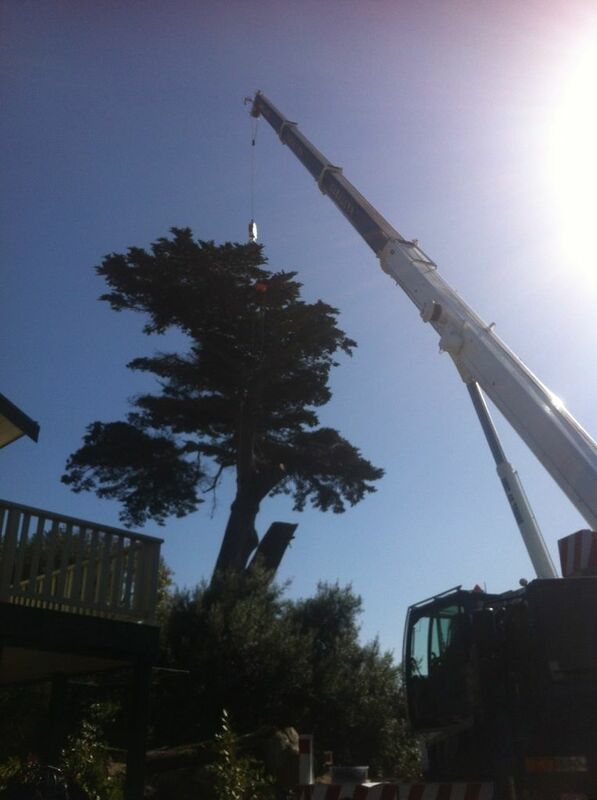 Photos above show our tree company removing a Cypress tree with a crane. 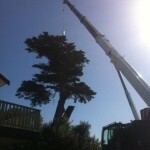 A quick video of a tree removal we finished in Mt Eliza. We take pride in our workmanship, and have the right tools and expertise for the job. In the video, you can see our tree removal machine working to take branches to the chipper. This saves significant labour, and makes the job a lot quicker. We have a chipper that can chip material up to 12 inches in diameter. 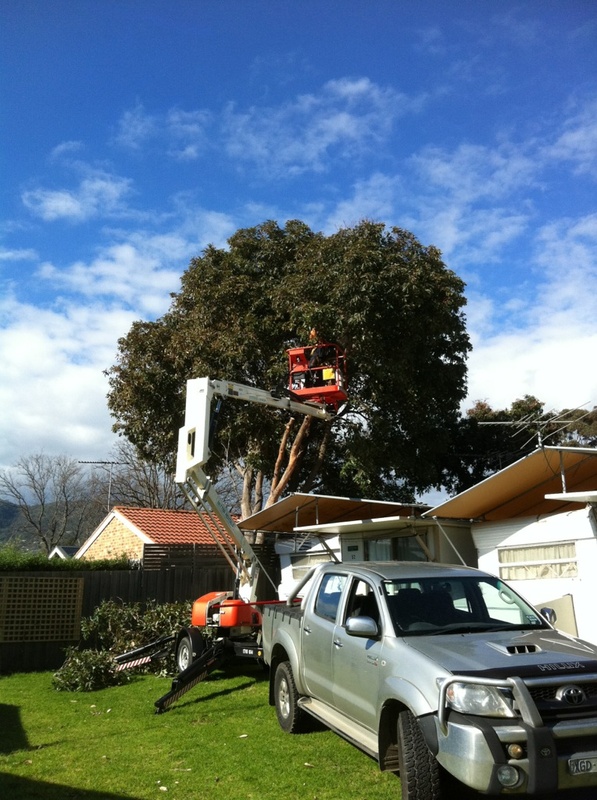 Did a large tree pruning job in Frankston South today, reduced the crown of an 80′ poplar. The tree was shedding limbs onto a garden and neighbours solar panels. Rather than remove it, we used tree surgery techniques to reduce the wind loading by removing 25% of the crown. By not exposing the tree to high wind loading, we minimise the chance of loosing more limbs whilst still retaining the tree and its asthetic qualities. Proper tree pruning to the Australian Standards should be done by a qualified arborist, as tree pruning techniques that are incorrectly applied to cause a decline in the trees health. With some properties in Frankston South quite close together, maintaining healthy trees is as much a responsibility for your own properties safety, as it is your neighbours. 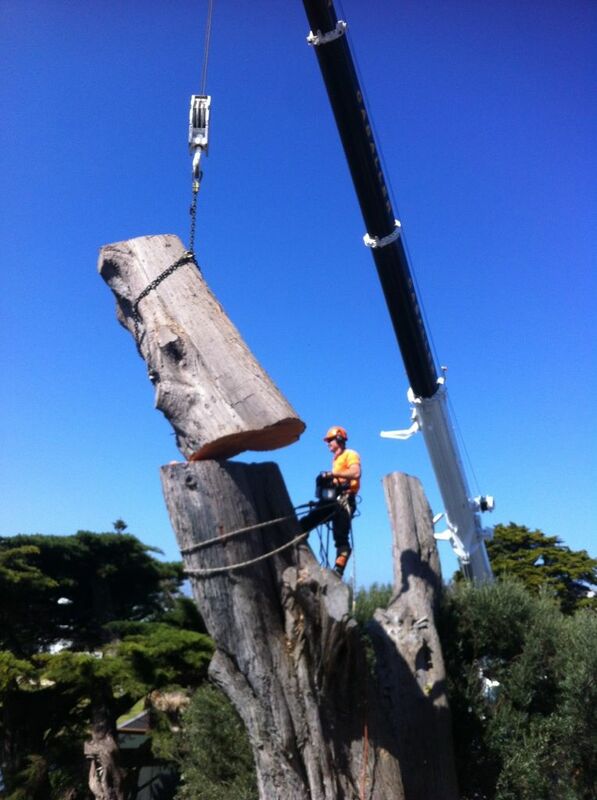 Once the Frankston South tree pruning had completed, the customer wanted the branches removed from the site. One of the best ways to get rid of unwanted tree branches and tree brush is chipping or mulching. After chipping all the branches with our chipper, we took the mulch to another property in Frankston South for use on gardens. 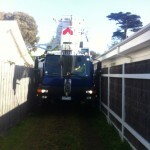 Quick video of a fence line tree removal in the Mornington Peninsula Mount Eliza area. The owner had a beautiful garden and lawn that needed to be preserved. By laying down boards in the drop zone, the brunt of branch ends could be taken, without putting holes into the lawn. Using another tree as a high point, limbs could be rigged and swung into the processing area, ready to be moved out for chipping. This kind of confined space tree removal is typical of our work at Tree-rrific. 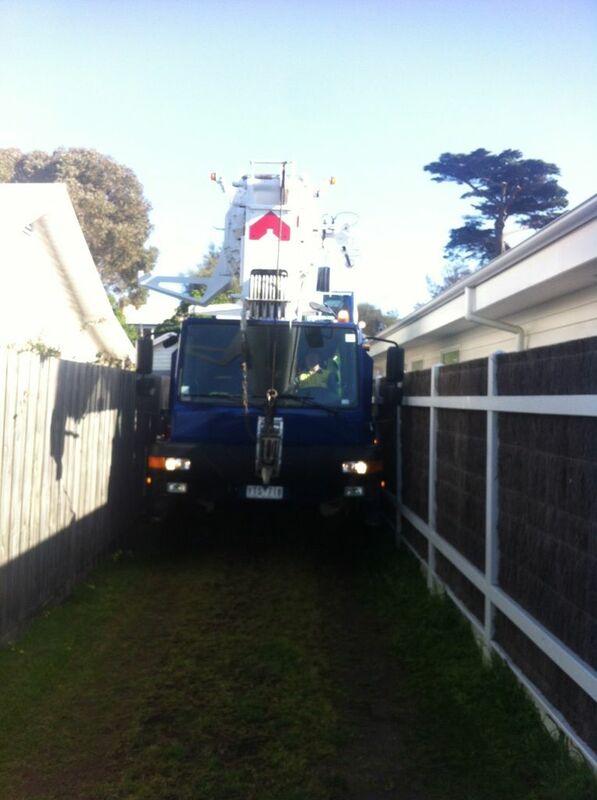 Tree-rrific Tree Services using a travel tower to removal a tree from a block in Mount Eliza on Mornington Peninsula.